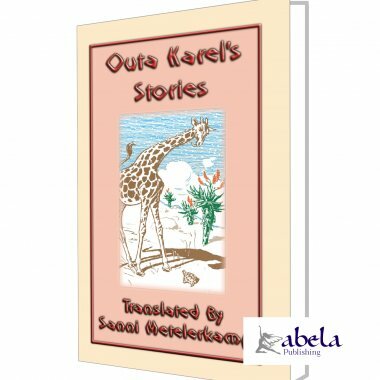 Herein are 15 stories and tales from the Southern most tip of Africa narrated by Outa Karel (Old Charles). Sanni Metelerkamp commences the narration with a description of The Place and the People which is a story in itself and sets the tone and background to the whole book. A common theme throught is the Trickster Jackal, not too dissimilar to the role played by the Coyote in American Indian tales and Anansi, the Trickster Spider in West African tales. 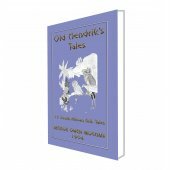 You will then find 14 more South African tales. Stories like Why the Hyena is Lame a story of why, when first seen walking, the Hyena gives the impression that it is lame and the role the Jackal played in bringing this about. Also, Why the Heron has a Crooked Neck a story how the crook in the Herons neck came about and how the devious Jackal, once again, had a part to play. 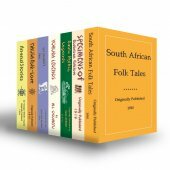 There are also the Hottentot (Bushman) tales of The Sun and The Stars and the Stars Road which when first documented surprised the translators, as who would have thought the Bushmen would have tales of the origin of the stars and planets. Indeed in Bleek and Lloyds work Specimens of Bushman Folklore they recount the tale of The Girl Of The Early Race, Who Made Stars and also a poem of Sirius And Canopus! 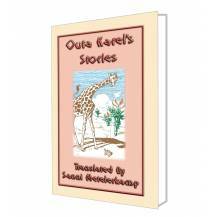 Metelerkamp states in the foreword that These tales are the common property of every country child in South Africa - and so they are and have been since the region was first populated thousands of years ago. We invite you to sit back in a comfy chair of a cold, crisp evening, a steaming hot beverage in hand and enjoy this sliver of South African culture from an age long past and almost forgotten. 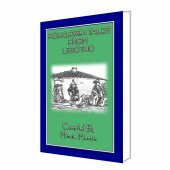 33% of the net profit from the sale of this book will be donated to the SENTABALE charity supporting children in Lesotho orphaned by AIDS. It was Tante Hyena that Jakhals cheated more than anyone, said Outa. She always forgot about the last time he had played a trick on her, so she was quite ready to believe him when he came along with another story. Some people are so, my baasjes.  Praps its kindness, praps its only stupidness; Outa doesnt know. One day Jakhals and Hyena were out walking together when a white cloud came up behind the kopjes and floated over the veld quite close to them. It was a nice thick cloud, just like white fat, and Jakhals climbed on to it and sat looking down over the edge. Then he bit pieces out of it, and ate them. Arré! but this white fat is nice, he said.N-yum, n-yum, n-yum, and he chewed round the cloud like a caterpillar chews a leaf. Hyena licked her lips and looked up at him. Throw me down some, please, she said. Ach! my Brown Sister, will I then be so greedy as to throw you down little bits? Wait till I get down, and then Ill help you up to eat for yourself. But come a little nearer so that you can catch me when I jump. So Hyena stood ready, and Jakhals jumped in such a way that he knocked her into the sand. He fell soft, because he was on top, but foei! poor Hyena had all the breath knocked out of her and she was covered with dust. Ach! but I am clumsy! said Jakhals; but never mind, now Ill help you. So when she had got up and dusted herself, he helped her to climb on to the cloud. There she sat, biting pieces off and eating them, N-yum, n-yum, n-yum, its just like white fat! After a time she called out, Grey Brother, Ive had enough. I want to come down. Please catch me when I jump. Ach, certainly Brown Sister, come on. Just see how nicely Ill catch you. So-o-o. He held out his arms, but just as Hyena jumped he sprang to one side, calling out, Ola! Ola! a thorn has pricked me. What shall I do? what shall I do? and he hopped about holding one leg up. Woops! Down fell Brown Sister, and as she fell she put out her left leg to save herself, but it doubled up under her and was nearly broken. She lay in a bundle in the sand, crying, My leg is cracked! my leg is cracked! Jakhals came along very slowlyjump, jump, on three legs. Surely the thorn, that wasnt there, was hurting him very much! Oo! oo! cried Hyena, help me up, Grey Brother. My leg is broken. And mine has a thorn in it. Foei toch, my poor sister! How can the sick help the sick? The only plan is for us to get home in the best way we can. Good-bye, and I will visit you to-morrow to see if you are all right. And off he wentjump, jump, on three legsvery slowly; but as soon as Old Brown Sister could not see him, he put down the other one andsh-h-h-hhe shot over the veld and got home just in time to have a nice supper of young ducks that Mrs. Jakhals and the children had caught at Oubaas van Niekerks dam. But poor Brown Sister lay in the sand crying over her sore places, and from that day she walks lame, because her left hind foot is smaller than the right one. V. Who was the Thief?